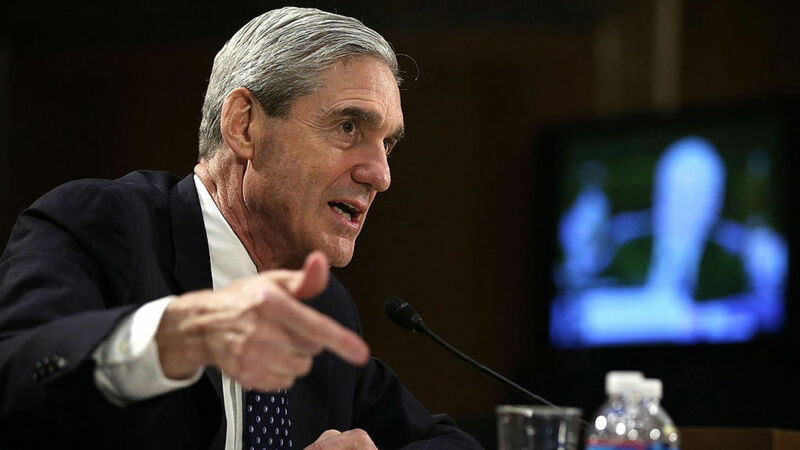 The Justice Department has acted suddenly to bypass any White House and Republican objections to a special counsel in the Trump-Russia investigation, appointing former FBI Director Robert Mueller (pictured). Deputy Attorney General Rod Rosenstein appointed Mueller to the position in a letter sent to the White House. Attorney General Jeff Sessions, a member of the Trump campaign, had to recuse himself from involvement because of contacts with Russian Ambassador Sergei Kislyak last summer. Mueller, the FBI Director from 2001 to 2013, is “authorized to prosecute federal crimes arising from the investigation of these matters”, according to the Justice Department order. His appointment was made eight days after Trump fired FBI Director James Comey, who succeeded Mueller. Trump then threatened Comey with the possibility of secret tapes of their conversations, but Comey’s associates responded by revealing that Trump had asked the FBI Director in mid-February to halt the investigation of former National Security Advisor Michael Flynn over his conversations with Russian Ambassador Kislyak. In my capacity as Acting Attorney General, I determined that it is in the public interest for me to exercise my authority and appoint a Special Counsel to assume responsibility for this matter…. What I have determined is that based upon the unique circumstances, the public interest requires me to place this investigation under the authority of a person who exercises a degree of independence from the normal chain of command. There’s, frankly, no need for a special prosecutor. We’ve discussed this before. You have two Senate committees that are looking into this, the FBI is conducting their own review. The White House was not consulted about Mueller’s selection, with the Justice Department giving less than an hour’s notice before the announcement at 6 pm, Washington time. Trump was meeting with candidates to replace FBI Director Comey when he was told by White House counsel Don McGahn of the development. A statement in Trump’s name later said that an investigation will confirm that “there was no collusion” between his 2016 campaign and Russia, despite Moscow’s interference in the election. As I have stated many times, a thorough investigation will confirm what we already know — there was no collusion between my campaign and any foreign entity. I look forward to this matter concluding quickly. In the meantime, I will never stop fighting for the people and the issues that matter most to the future of our country. Paul Ryan, the GOP Speaker of the House, was also told only just before the announcement. Earlier Wednesday, Ryan had begun to push back against Comey’s revelations of possible obstruction of justice by Trump, expressing full support of the President. I think it was the right thing to do and I believe they saw it as the right thing to do otherwise they’re going to have a fight and it’s not worth the fight. There [is] mutual suspicion of one side and the other. This clears that up and has a person whose reputation is as good as it gets and he’ll be very good. House Majority Leader Kevin McCarthy, a Republican from California, told colleagues last year that he thinks Russian President Vladimir Putin “pays” Donald Trump. Rohrbacher is an outspoken fierce defender of Russia and Putin.